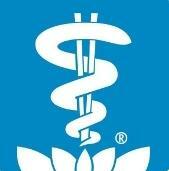 Throughout the history of Chinese medicine there have been several currents of Chinese medical practice. Some were well seated in the Confucian scholar tradition associated with the transmission of canonical writings such as the Huang Di Nei Jing. Alongside and concurrent to these traditions, China also had family lineages that were more or less kept as trade secrets among small groups of people. Over the last two thousand years of Chinese history, these family lineages have come and sometimes gone entirely if there were no heir to receive the information. Furthermore, even when these secret family traditions were taught, sometimes the true depth of information was withheld. This very traditional aspect of Chinese culture can certainly be a negative and dark one in the realm of medicine, especially since the greatest and most important texts of Chinese medicine (e.g., the Huang Di Nei Jing, Nan Jing, etc…) have always been transmitted openly and freely. In Chinese there is a phrase that “Medicine is the Art of Compassion” (醫為仁術 yi wei ren shu). Secret lineages of medicine that are not taught openly and possibly even allowed to die out due to the selﬁsh motivation to retain knowledge or power in a select number of individuals stand in direct opposition to compassion. Tung’s acupuncture is one previously secret ancient family lineage of medicine that, thanks to the openness of its last proponent, has survived and nourished in modern times to the beneﬁt of countless suffering patients. Tung’s acupuncture is a classical family lineage tradition, which has survived to the present day uninfluenced by the contemporary TCM mainstream. Once a guarded secret, it has become increasingly popular during recent years because of its high efficacy and its concise theoretical concepts. Tung’s acupuncture dates back to the Han dynasty and therefore rests on classical Chinese philosophical ideas which are also inherent components of TCM acupuncture. Therefore Tung’s theoretical framework does not only explain the effects and indications of its own acupuncture points, but can also serve to understand many standard TCM points more profoundly and in a rational way. 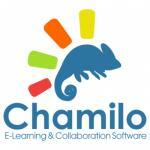 Accordingly, our seminar will serve a dual purpose. 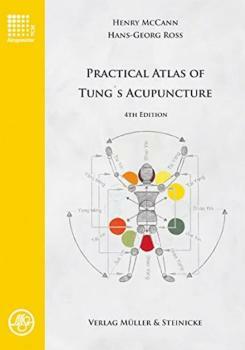 Firstly to provide you with a thorough introduction to Tung’s acupuncture, including important treatment strategies and point groups for frequently encountered ailments, and secondly to provide you with an extended view of TCM points you are already using in your daily practice. tissue correspondence, and zonal arrangement. You will become familiar with a basic set of important acupuncture points from Master Tung’s repertoire and their combination (Dao Ma groups). With reference to what you have learnt in the theoretical section you will be able to understand their mode of action and the rationale behind their specific usage in therapy. Points and treatment examples will be presented with a focus on pain, motor disorders, and internal diseases. You will practice point location and needling. The material covered will be immediately useful in your clinic. Prof. Dr. med. Hans-Georg Ross. Hans-Georg Ross is a licensed acupuncturist and a certiﬁed acupuncture instructor (Chamber of Physicians, Düsseldorf). 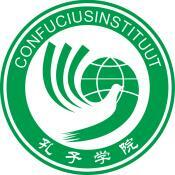 He received his training in TCM and Acupuncture from the DÄGfA and the University Witten / Herdecke, Germany. Prior to his professional training in Acupuncture Dr. Ross was a Professor of Neurophysiology at the Heinrich-Heine-Universität Düssel-dorf and a Research Fellow at the University of Western Ontario (London / Canada) and at the Indian Institute for Chemical Biology (Calcutta / India). He is a Fellow of the Indian Academy for Neurosciences and an Emeritus Member of the Society for Neuroscience (USA).Dr. Ross has taught Acupuncture in Germany, Austria, and the Netherlands and is the co-author of a textbook on the Balance-Method in Acupuncture. 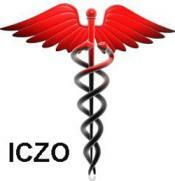 He works as a general practitioner with focus on acupuncture. Lesdatum - Dates: de nieuwe datum is nog niet gekend. Bij interesse schrijf je best in "onder voorbehoud". Je wordt dan als eerste verwittigd zonder enige verplichting.